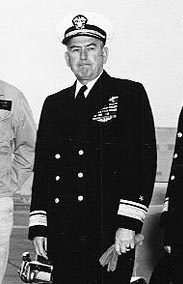 The Pacific War Online Encyclopedia: Rodgers, Bertram J.
Rodgers was an experienced submariner and destroyer commander who commanded heavy cruiser Salt Lake City in the Battle of the Komandorski Islands, for which he received the Navy Cross. He served as a staff officer in southeast Asia and as a task force commander in the landings in southern France (DRAGOON) before transferring to the Pacific , where he commanded the bombardment force at Iwo Jima. Gradautes from Naval Academy. Assigned to BB South Carolina.